This property at Beach StreetUnit 101 , Boston, MA02111 has listed by Mike Giles but has not been updated for quite some time. Please contact the listing agent and broker for up to date information. 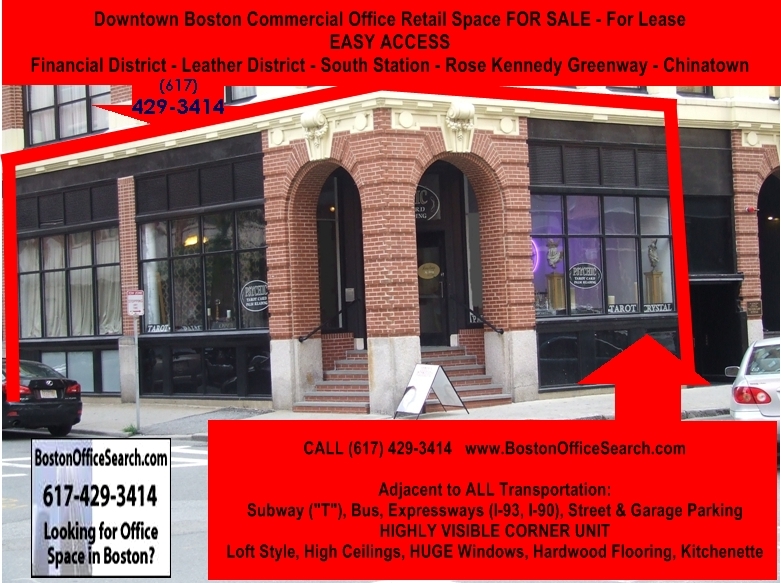 Heart of Boston, ACTIVE Mixed-use Neighborhood, Financial District / Leather District - EASY ACCESS: Adjacent to Expressways (I-93, I-90), On-Street and Garage Parking, Steps to the South Station Transportation Center (Subway "T", Bus, Commuter Rail), Rose Kennedy Greenway and Chinatown. Suitable for a wide range of Office Space and Retail Space Uses that can benefit from High Visibility and Easy Access!